Read our quick guide to ensure you get the most out of your moving experience. BAR members are committed to a high standard of service. They comply with annual inspections and follow the BAR TSI Code of Practice (link to code of practice blog when created). 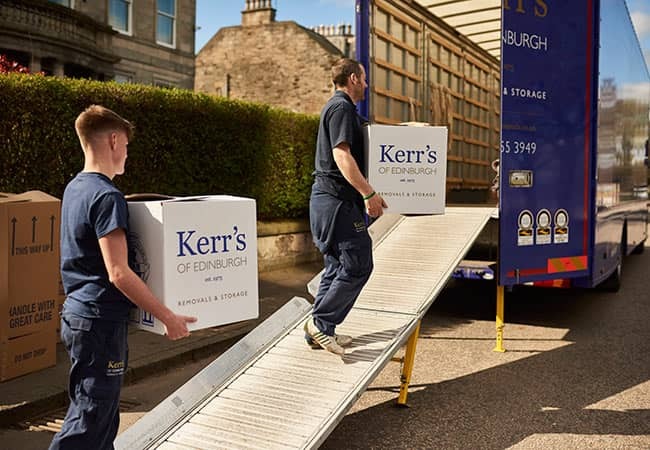 Here at Kerr’s, offering peace of mind that a move will goes smoothly is of utmost importance to us, and we pride ourselves on our BAR membership and reputation as a professional and safe removals firm. Contact your chosen BAR member well in advance of the move date. Some removal days are busier than others. Fridays, Saturdays and bank holidays can be particularly busy times with customers booking weeks or months in advance. It’s also worth noting that if something goes wrong with a sale or purchase over a weekend your solicitor may not be available. Your removals firm should explain what services they offer and help you begin planning. The first step in our process is to provide a free, no obligation quote. At this time we will explain exactly what we offer and the areas you need to think about. This way you can concentrate on the essentials and leave the move day to us. Our initial contact was well received and a visit arranged to our home. A walk round explaining just what could be done and what was thought we required step by step. As trained professionals, removals firms know how best to protect your belongings. They use the right materials and can do it quickly and cost-effectively, freeing up your time to focus on other areas of the move. Your chosen company should also be in a position to discuss insurance arrangements with you. For more information on planning your move see this detailed guide and moving checklist from BAR.